If you are looking to cultivate to a higher conversation next weekend, Food Flower Future, the new collective by Khara Pechtes of Therapeutic Synergy and Chef Emily Anderson of Plant Base Collective, is hosting a cannabis infused dinner at a private location in Los Angeles on Saturday, March 23rd from 7-10 pm. Chef will be serving a 5-course meal inspired by her global travels and local ingredients. With a focus on sustainability and organic produce, the meal will feature vegetables from Imperfect Produce and will help to cut down on problematic food waste. 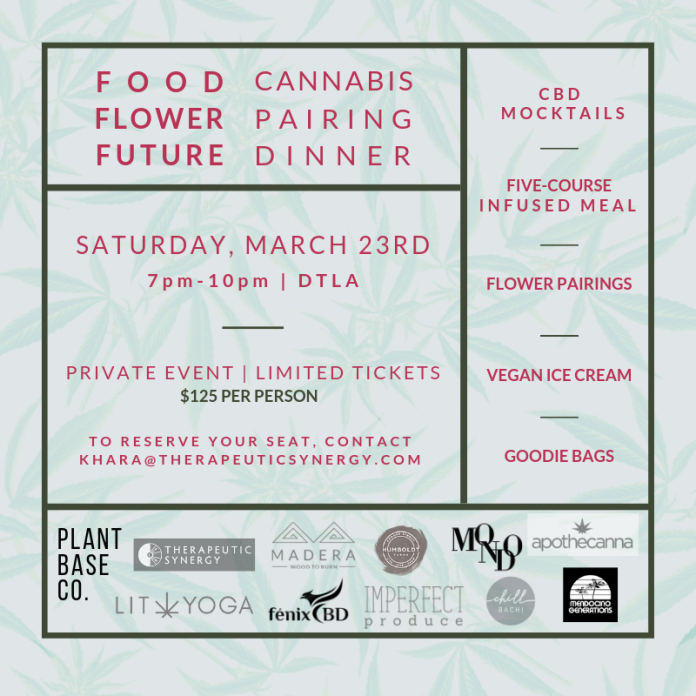 Each course will be paired with a corresponding cannabis strain to highlight the specific combination of food flavors & aromas alongside cannabis terpenes. It will be a Mediterranean themed menu this time! 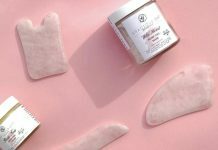 Ticket will include a CBD Mocktail, Welcome Bite, Pre-rolls and a 10 mg 5-course pairing dinner. Guests will also receive a goodie bag with products from our sponsors, Imperfect Produce, Chill Bachi Rolled Ice Cream, Madera Wood to Burn, Mondo, Lit Yoga, Fenix CBD, Apothecanna, Mendocino Generations, and Humboldt Farms. This is sure to be a special evening of decadent indulgence, but there are limited tickets. Buy now. Next articleb.Blunt Talks: LucidMood…Energy. Bliss. Focus. Party. Chill.